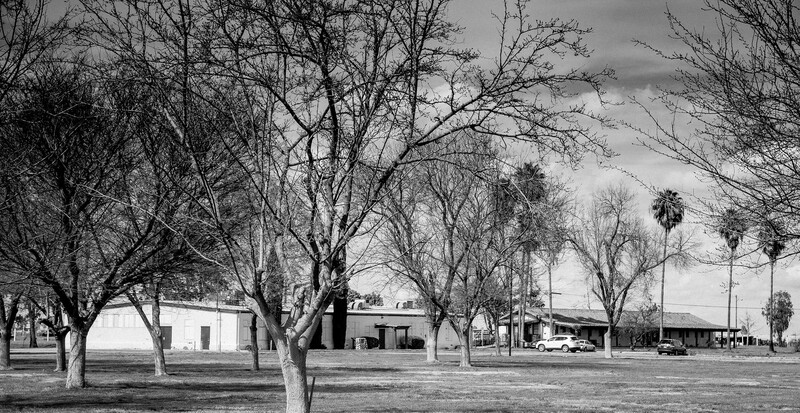 I visited Delano with John Storey on a Saturday this March when we were on our way north from work in Bakersfield to work in Fresno. 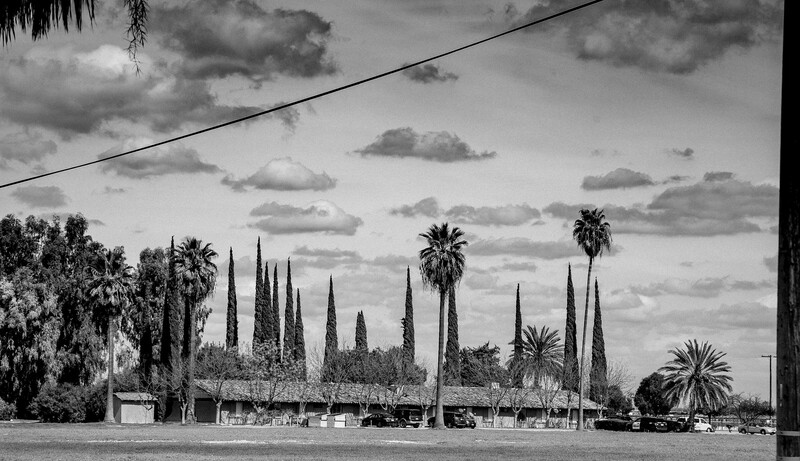 This post is about a few hours in Delano a few weeks ago. 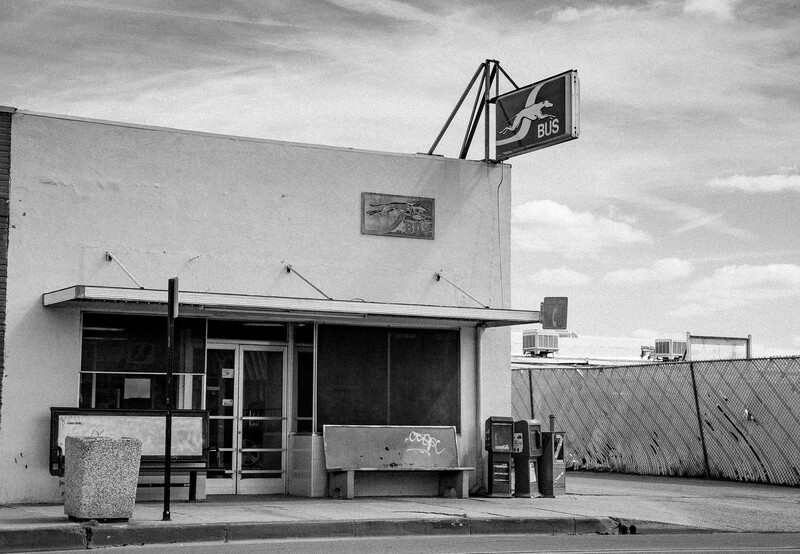 For me, the time we spent in Delano that day was a sentimental journey, a time to renew old memories. Today Cesar would have turned 92. He died in 1993, age 66. 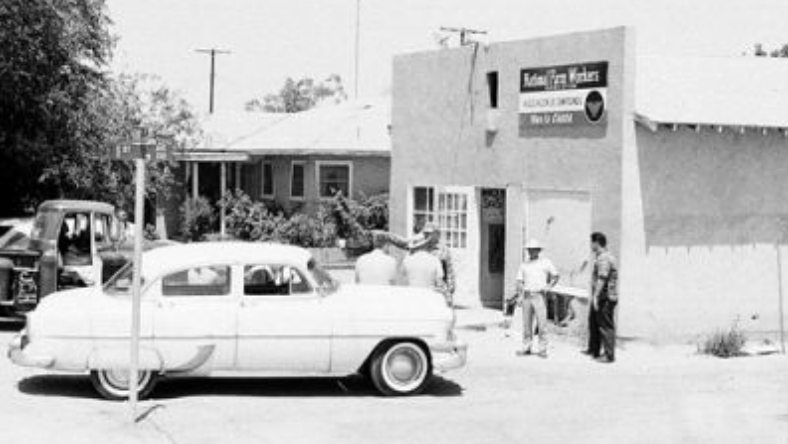 I first arrived in Delano on June 15, 1968. I was 16, going on17. 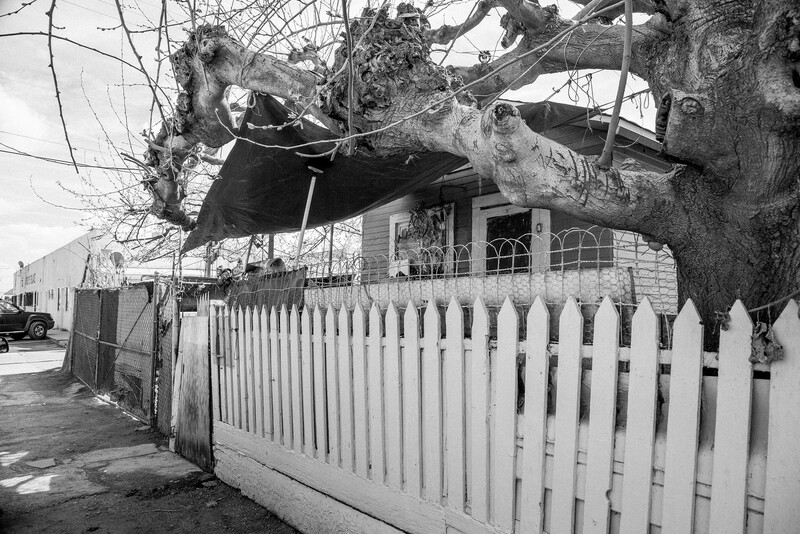 At home outside Philadelphia I had sought out and then been recruited by Marion Moses of the United Farm Workers grape boycott staff in Philadelphia in late 1967. I volunteered on grape boycott picket lines. 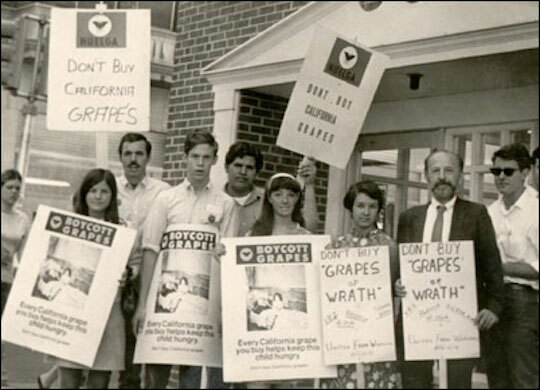 I am third from the left in this photo, urging customers at the Penn Fruit grocery store in Haverford, Pennsylvania, to boycott grapes. I wrote Jim Drake who was in charge of summer volunteers for the UFW and applied to be a summer volunteer in Delano. I was younger than almost all applicants, but Marion Moses vouched for me. I was accepted. P.S. I am still in touch with Marion Moses. She played a big role in launching me on my life journey. I am endlessly grateful. My best friend Cres Fraley and I drove his family’s Land Rover from Philadephia across the United States in early June 1968. As we drove across the country, the murder and funeral of Bobby Kennedy unfolded before our eyes and ears The song that I most strongly associate with that drive was The Unicorn by the Irish Rovers. Shel Silverstein wrote it; I now barely forgive him. It remains one of the best-known songs in the Irish Rovers’ long career. We deeply disliked the song. After a few days in Palo Alto, Cres drove to his uncle’s ranch in western Oregon for the summer and I Greyhounded south to Delano. Like the man sang, I rode in on a Greyhound. For the bus ride and to bolster the impression I would make with the UFW when I arrived, I dressed in dark slacks, dress shirt and tie, seersucker jacket. and penny loafers. 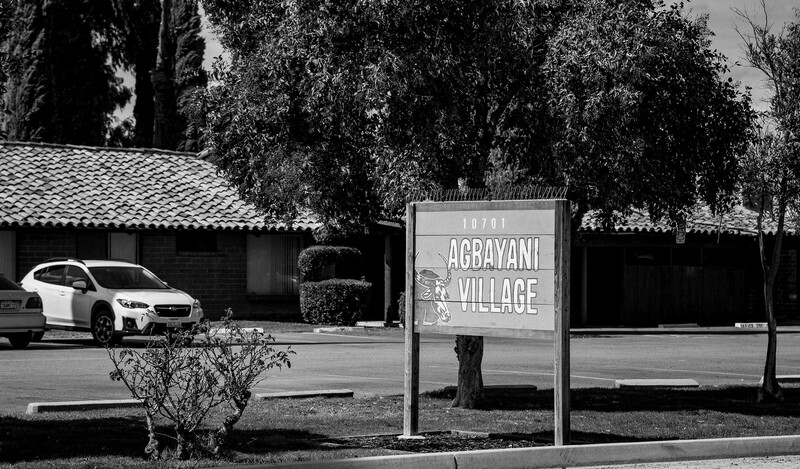 I knew that the UFW office was on Albany Sreet and that the street names were alphabetical with Albany Street on the the west side of town but I didn’t have an exact address. Rookie! I started to walk west, lugging my duffle bag. It was very hot. After a few blocks, a farm worker family pulled their station wagon over and offered me a ride to the UFW office. 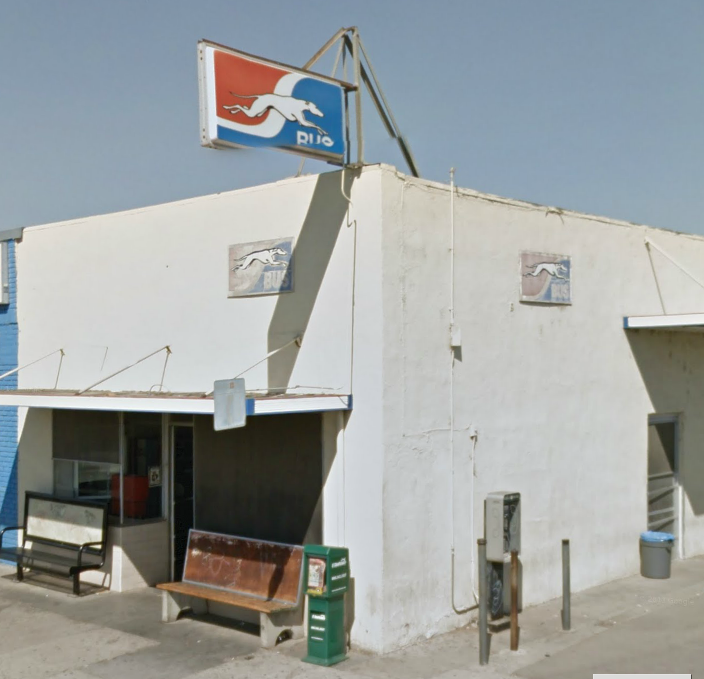 Thus began my time in Delano. The Union had offices in three houses on the west end of town. The hiring hall and the Membership Department were at 102 Albany Street, on the corner of Albany and First Avenue. It is now a church. The back right room was the Gestetner printing press where I worked many nights. Directly east of the hiring hall on First Avenue was the administration building with Cesar’s office. 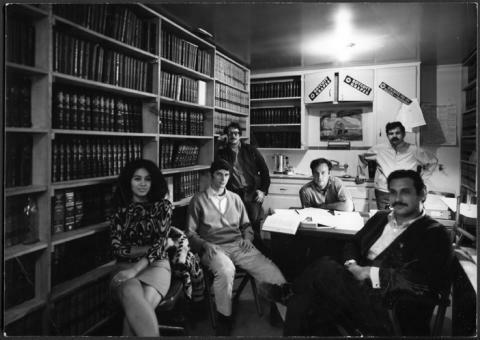 Left to right: Gloria Perlin, Chuck Farnsworth, David Perlin, Jerry Cohen, Chris Sanchez and David Averbuck. U.F.W. legal department, 1969. Jerry Cohen and the legal department had their office in this house as well. Around the corner, just north on Belmont, was the Pink House. 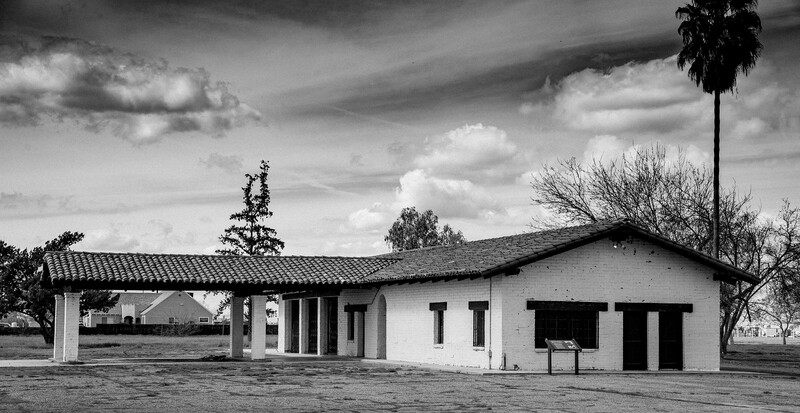 The National Farm Workers Service Center had its offices here. The fire damage looked fairly recent. LeRoy Chatfield (on the right) was head of the Service Center and a major presence within the organization. 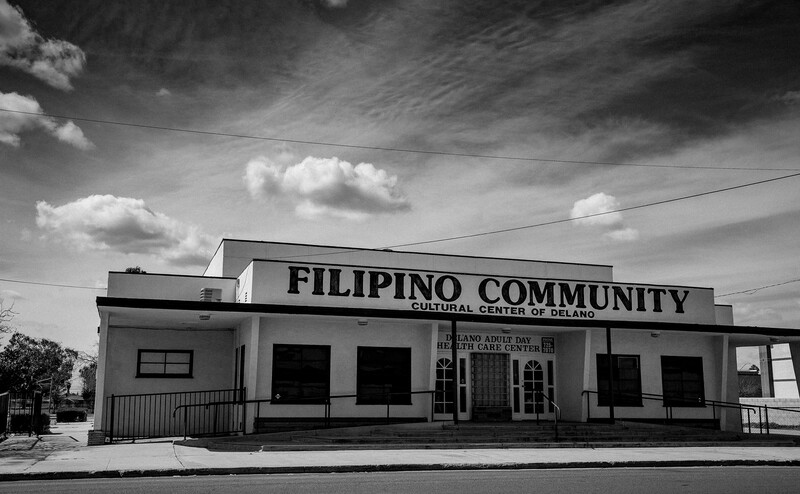 The Filipino Hall is on Glenwood, a block west of Highway 99. 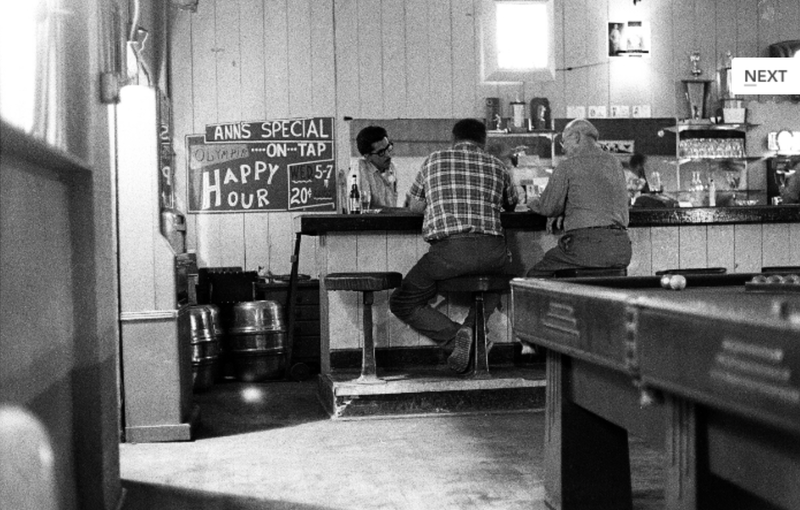 In 1968 there were grape packing sheds and coolers all along the railroad tracks. Now, not so much. 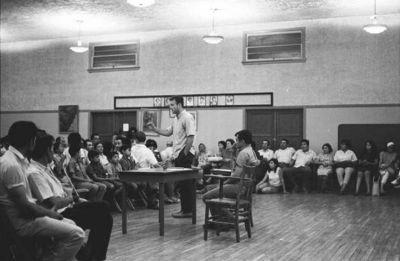 Every Friday night there was a union meeting at the Filipino Hall. It was a rousing, inspiring mix of reports, skits, and song. The meeting was a family affair and it was bilingual, Spanish for the Mexicans and English for the Filipinos. 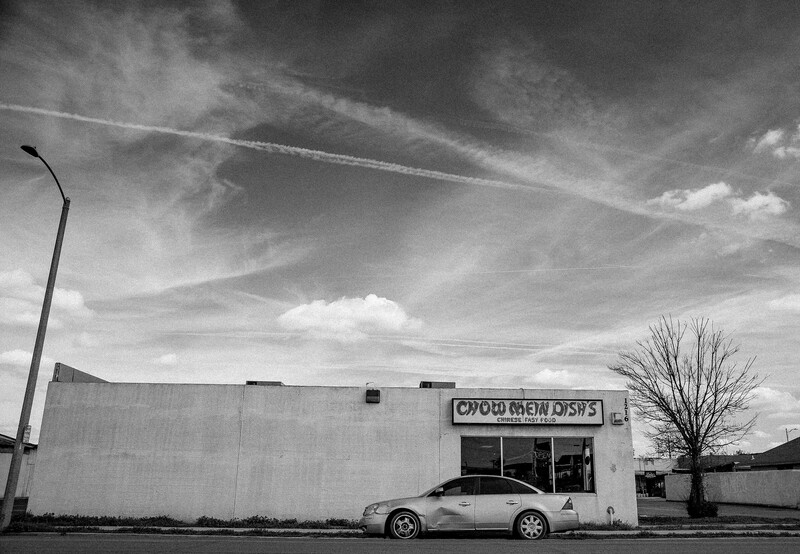 A little later, meetings in Delano would also be conducted in Arabic for the Yemeni. “Yemeni” is the correct demonym or gentilic used for people of Yemen. After the Friday night meeting, volunteers for the Union (this is what the staff was called – volunteers) would line up at the pay window on the far left of the building. We were given a $5 bill to last for the week. I managed to save money over the summer. I bought a can of frozen lemonade each week and an occasional ice cream cone that cost a nickel or a dime. We used the Filipino Hall for meetings. In this photo, General Counsel Jerry Cohen is standing and Tony Orendain, the secretary-treasurer of UFWOC, is seated at the table. 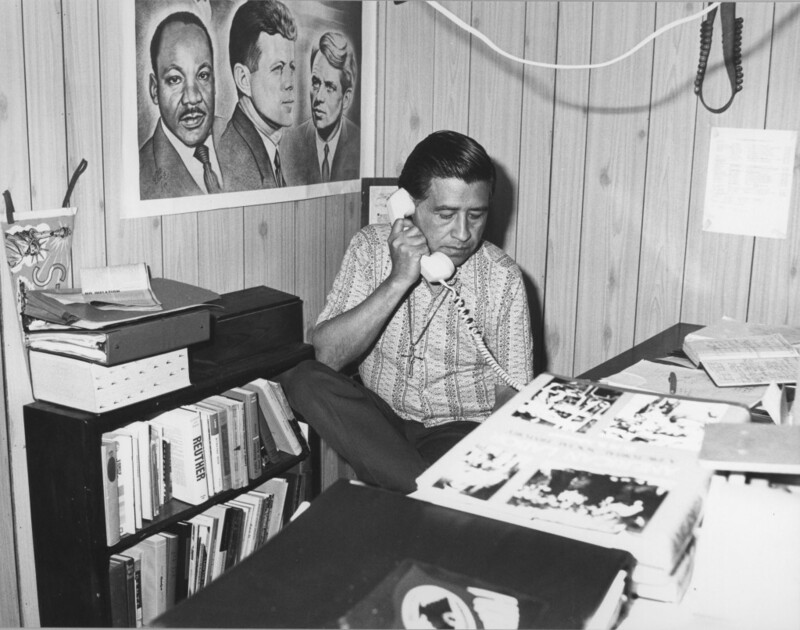 Orendain would leave the UFW and dedicate his life to organizing farm workers in Texas. 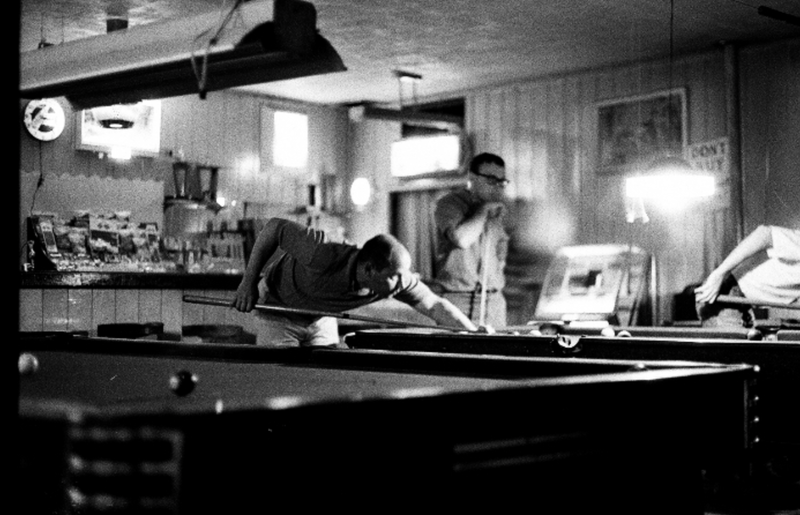 After the Friday night meeting, many of the Union staff went to People’s Bar. Today it is called Rosy’s Place. It is on Garces Highway, just west of Glenwood. That means it is a few blocks east of Highway 99. 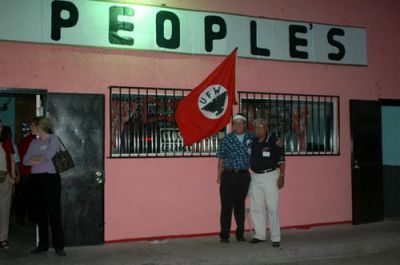 Doug Adair (left) and Richard Chavez (right) in front of People’s. 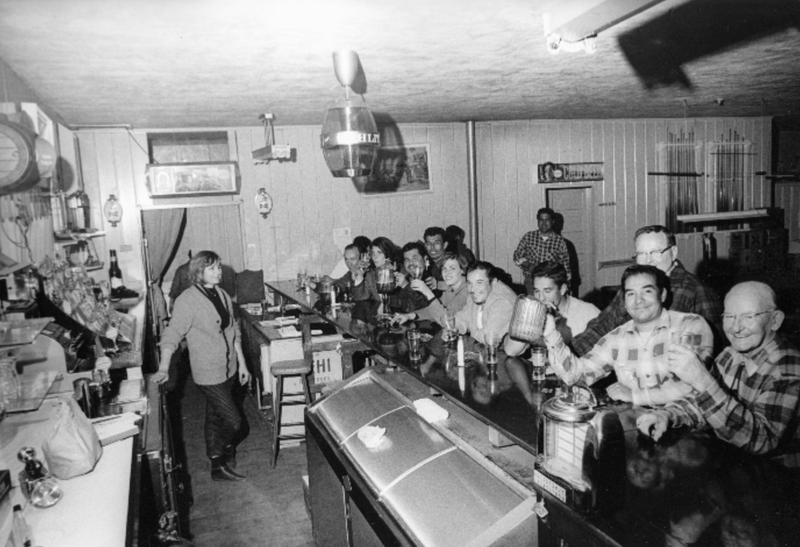 These next photos of the inside of People’s Bar during the UFW years are from the UFW documentation website created by LeRoy Chatfield. Early staff are shown in this photo – Alex Hoffman, Donna Childers, Chris “Fats” Sanchez, Ida Cousino, and others. 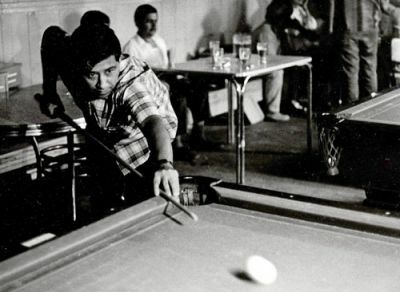 In those first years, Cesar still smoked, shot pool, and had a drink or two. 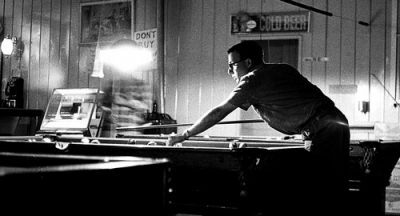 He drew upon years of a misspent youth pool-sharking and was good. By the time I got to Delano in 1968 he had become a self-disciplined ascetic who abstained from all forms of indulgence. I was not of legal drinking age and had no interest in drinking but I dug the Desolation Row vibe in People’s. I sat with David Fishlow, the editor of the Union’s newspaper El Malcriado, at the bar and we talked. He translated from Spanish the conversations for me. 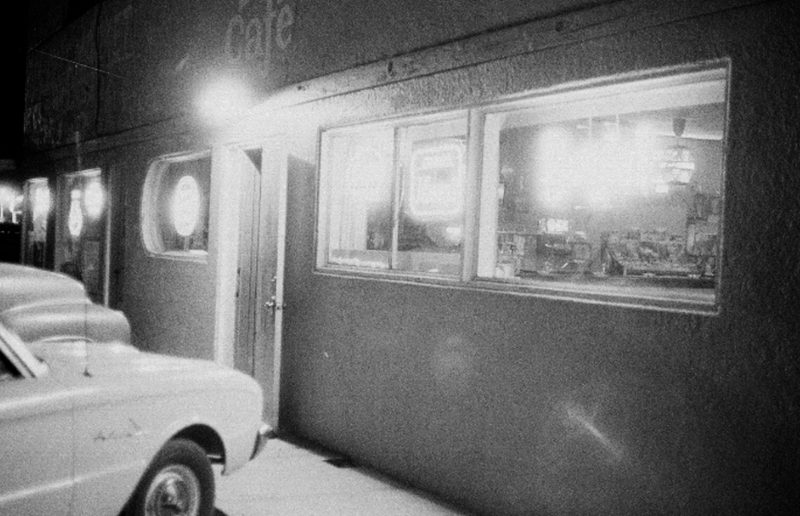 The bartender was a woman named Jesse Torres, nicknamed “Mocha”. Mochar means “to cut off.” Mocha was a lesbian. 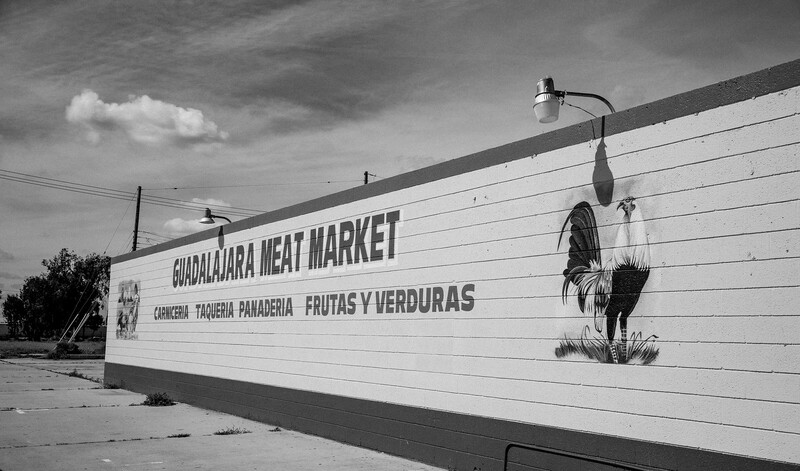 Her family owned People’s Market. 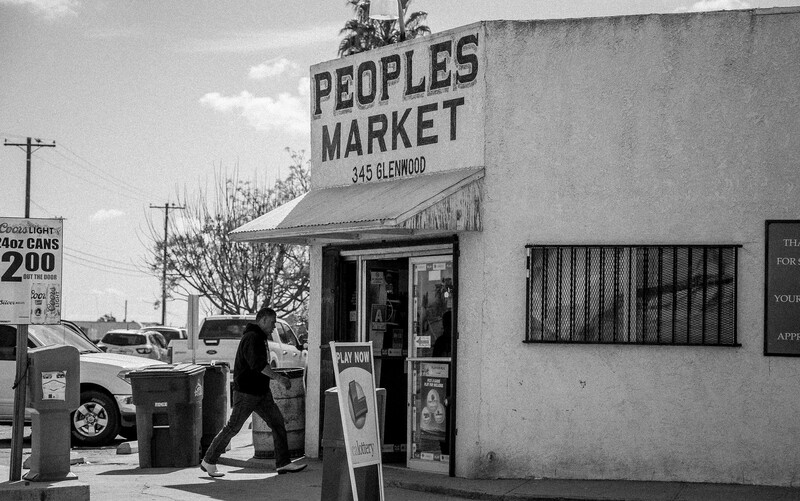 Cesar’s wife Helen went to school in Delano with Mocha and worked in the Torres family’s People’s Market where Cesar started courting her in the mid 1940s. Mocha was kind to me. I would nurse a ginger ale and she’d give me dimes for the juke box. I didn’t know the music at all but I knew kindness. 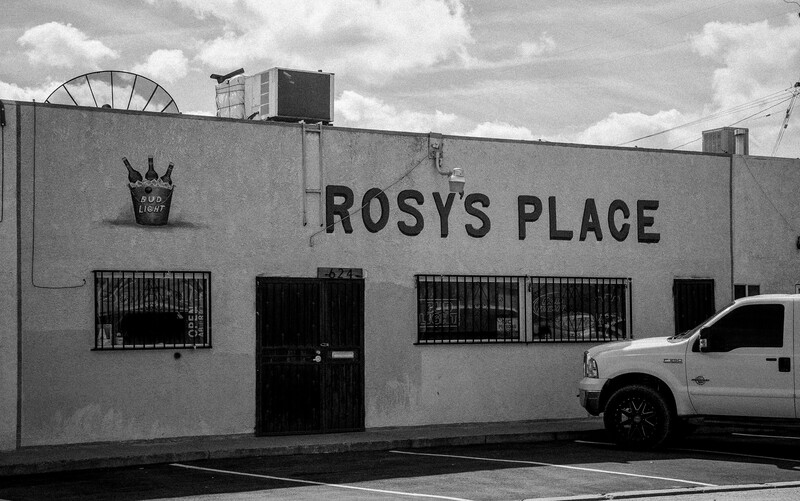 The bar may now be Rosy’s, but the market is still People’s. In 1968 I went there once in a while. I remember buying a Sunday paper the weekend that my father visited Delano. I bought a can a frozen lemonade there every Sunday. On Sundays I’d live on a few pieces of wheat bread and spoons of the frozen concentrated lemonade. These apartments stretch west along Garces Highway from People’s towards Highway 99. This photo looks east, with People’s in the background. 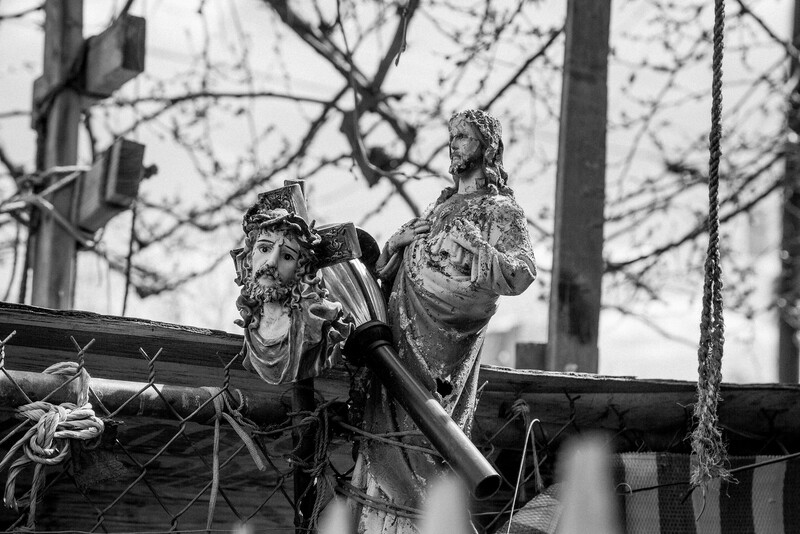 The house at the east end of the three was the poorest and the one with the religious iconography. 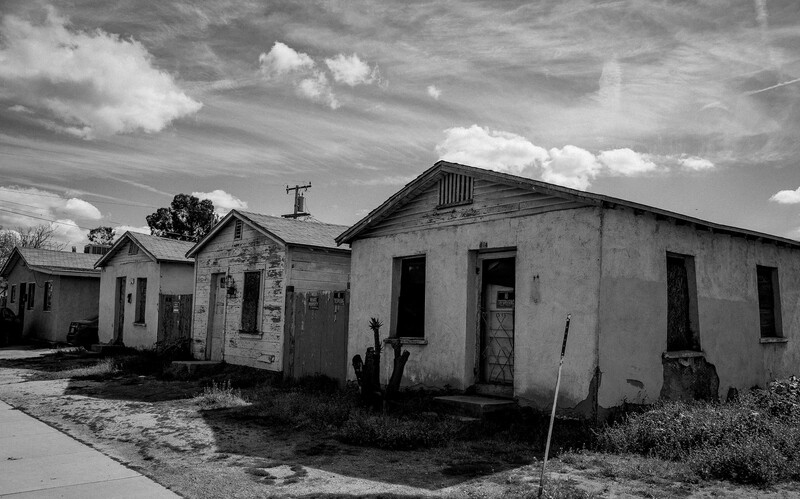 Farm workers lived in these houses. Every morning at three the houses came to life – cooking smells and sounds, roosters crowing and Mexican music on the radio, as the workers got ready for a day in the fields. 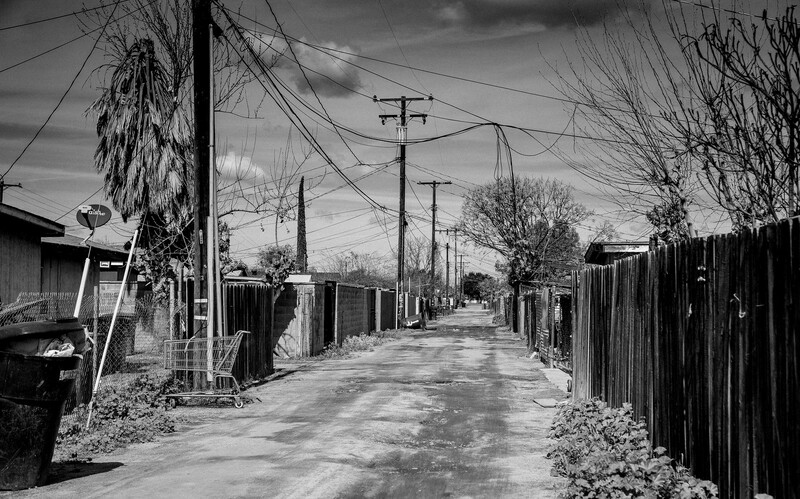 There is a back alley running south off of Garces Highway. 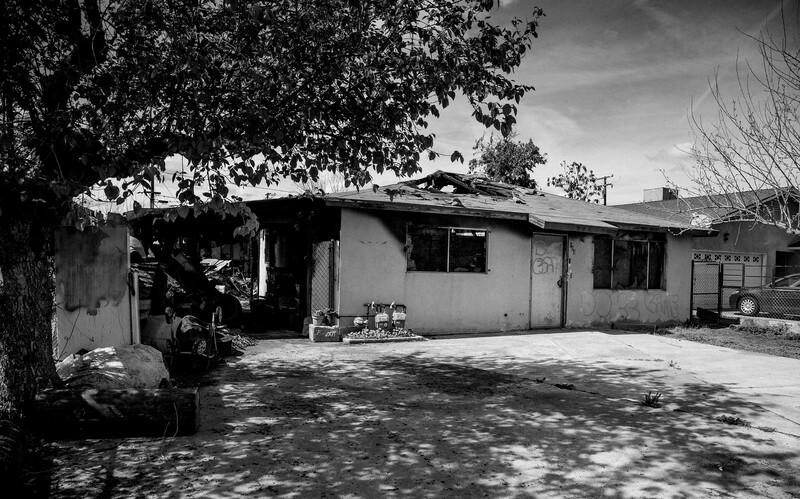 Behind the three small frame houses on Garces were these apartments. David Fishlow lived in the apartment at the left end. I lived in the apartment at the far end along with Fred Dresser, Alfredo Vasquez and Ijinio Rangel. Fred was in his sixties, a Lutheran minister from Madison, Wisconsin, who came to Delano when his wife died. He was running the Union’s coop gas station on Cecil Highway. He had a great fondness for imitation ice milk with cholate syrup. 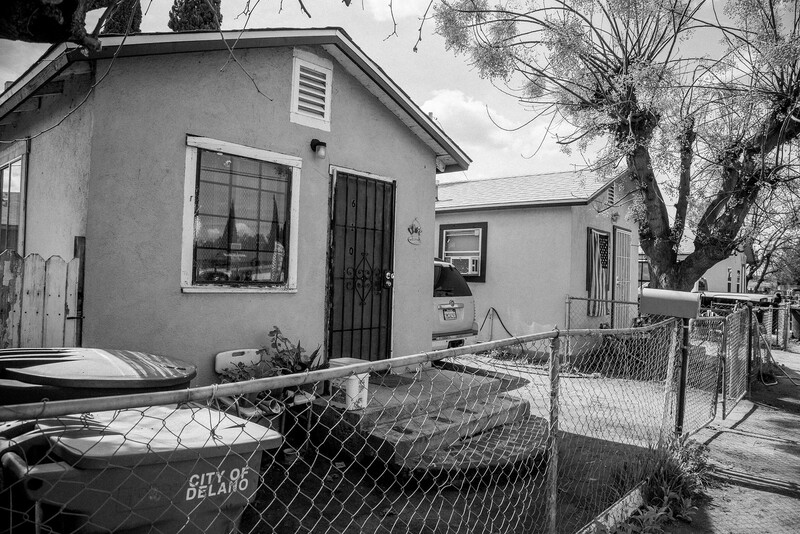 Ijinio lived in Dinuba and went home weekends. I don’t remember his assignment at the time. 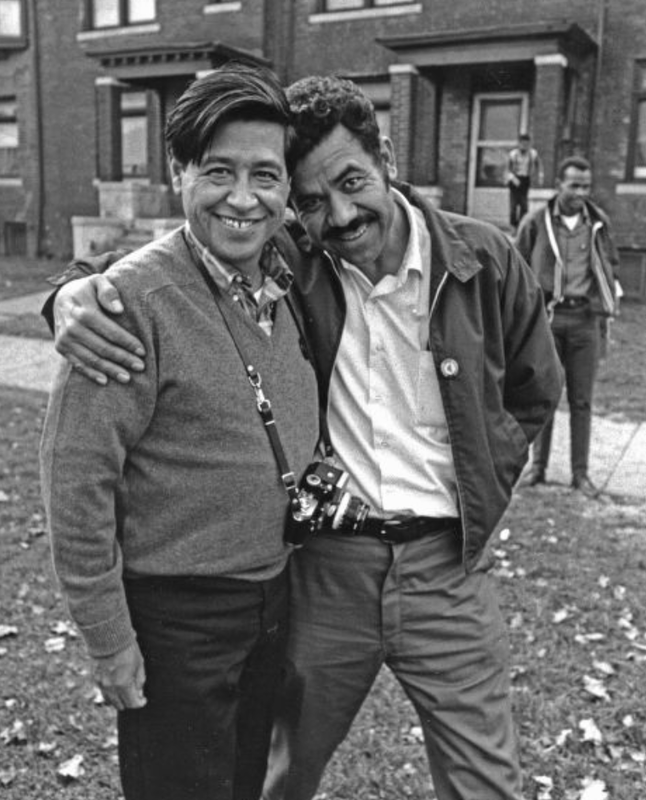 Later in the summer he was sent to the Detroit boycott, where he is shown here with Cesar. 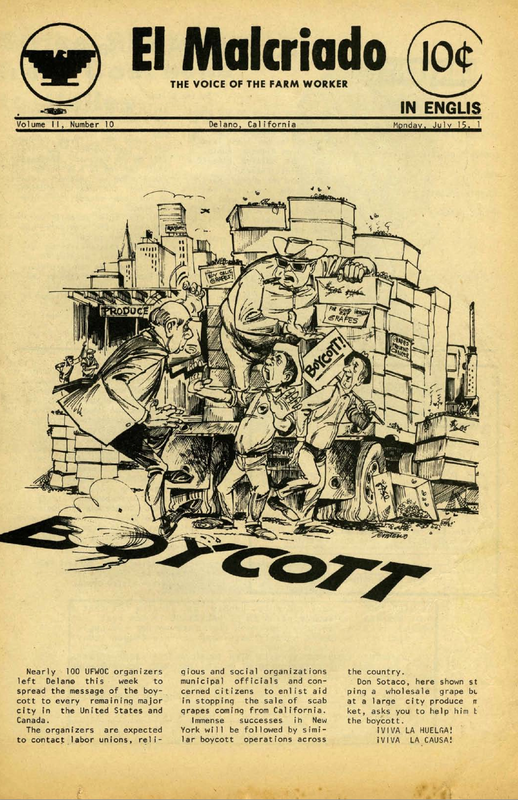 Mack Lyons was on the boycott and is in the background of this photo. Ijinio played guitar. He taught me the song “Cuatro Vidas.” Is it odd that I remember that detail? Not to put too fine a point on it, the apartment was a dump. 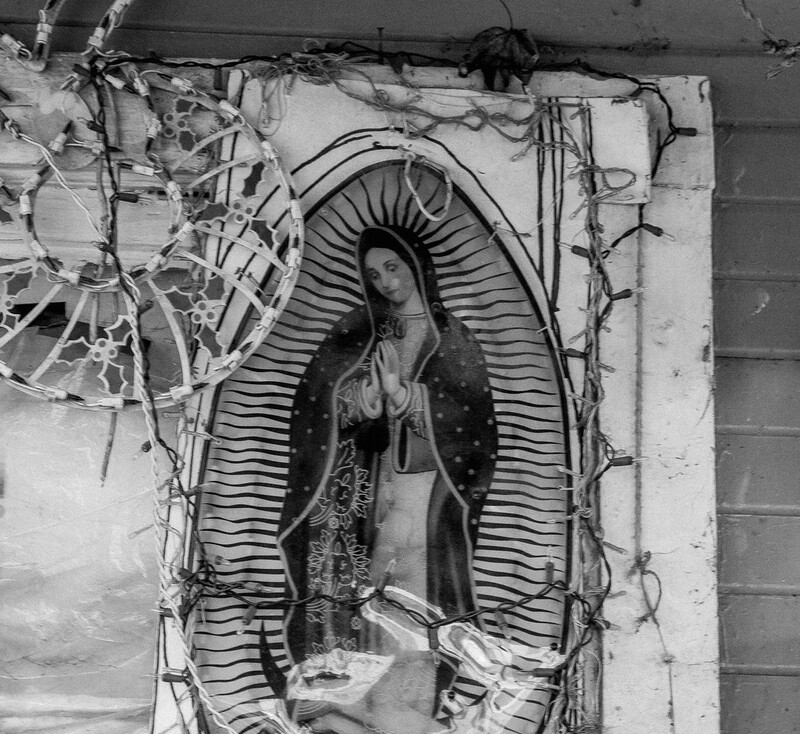 Yes, there was the hopeless romanticism/in-the-destructive-element-immerse/Desolation Row sense from Mexican music from radios and kids playing and dogs barking and roosters and the smell of Mexican cooking, but it was, in the end, brutal. 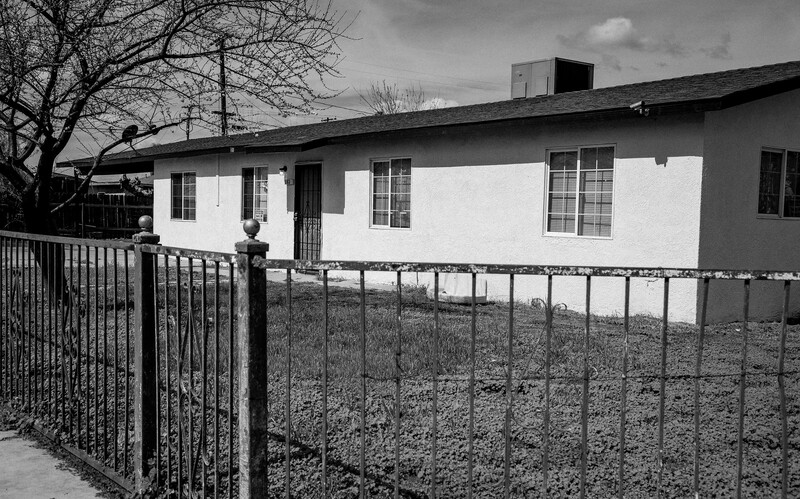 Later in the summer I moved out of the apartment and moved into the house where Doug Adair was living. 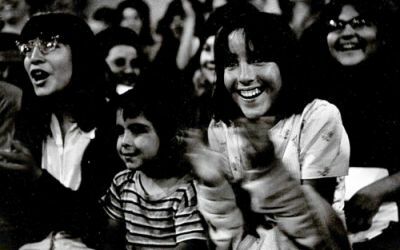 His girlfriend Lisa Mei Lee was living there for the summer and Doug was in loco parentis for three sons of Dolores Huerta – Fidel, Emilio, and Vincent. 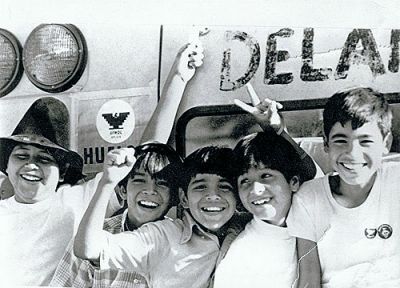 Left to right: Paul “Bubbles” Chvez, Vincent Huerta, Emilio Huerta, Anthony (“Birdie” Chavez, and Fidel Huerta. Every night Doug read outloud to the boys. For most of my time staying there he read from Stevenson’s Treasure Island. Every night, Doug and Lisa and I would go into the room that the boys shared and Doug would read Treasure Island. I’ll admit it – I was usually the first person to fall asleep and the first one up the next morning. When the boys woke up I’d ask them what happened the night before. They’d tell me. This is the passage in the book that screamed at me. 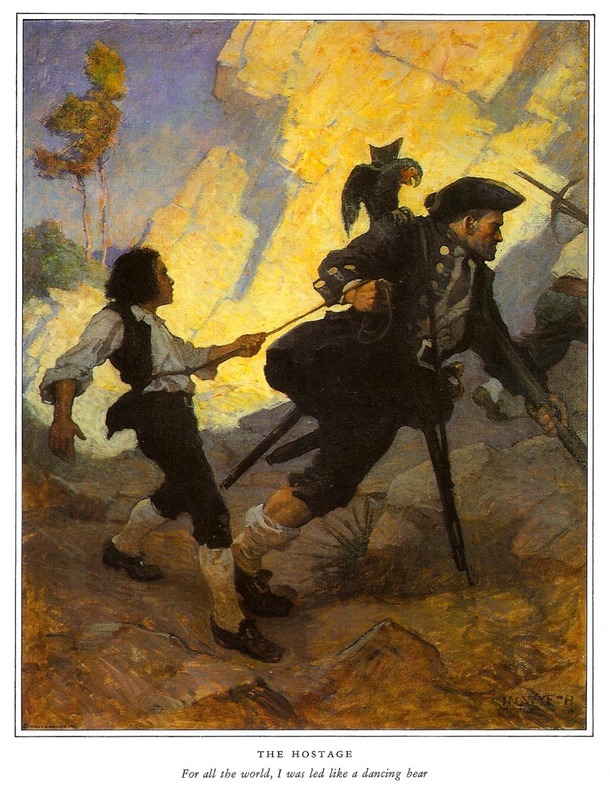 “Ah!” said he, “this is a sweet spot, this island – a sweet spot for a lad to get ashore on. You’ll bathe, and you’ll climb trees, and you’ll hunt goats yourself, you will, and you’ll get aloft on the hills like a goat yourself. Why, it makes me young again to think of it. I was going to forget my timber leg, I was. It’s a pleasant thing to be young and to have ten toes, and you may lay to that. 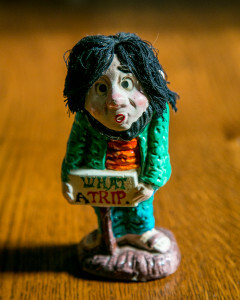 When you want to go a bit of exploring, you just ask old John, and he’ll put up a snack for you to take along.” And, clapping me in the friendliest way upon the shoulder, he hobbled off forward and went below. All three boys have had productive adult lives. In the summer of 2018 I went in my capacity as a State Fed Vice President to the California Labor Federation convention. Emilio and his mother Dolores were there. In 1968, the Union was transitioning from the cluster of offices in town out a few miles west on Garces Highway to the Forty Acres compound. 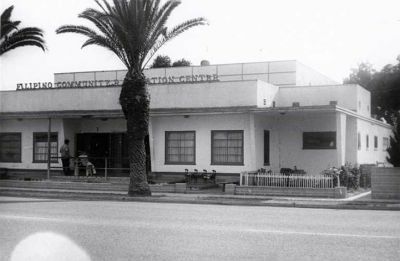 Forty Acres eventually housed a gas station, the El Malcriado office/shack, the hiring hall and administrative offices, the clinic, and the Agbayani retirement village. 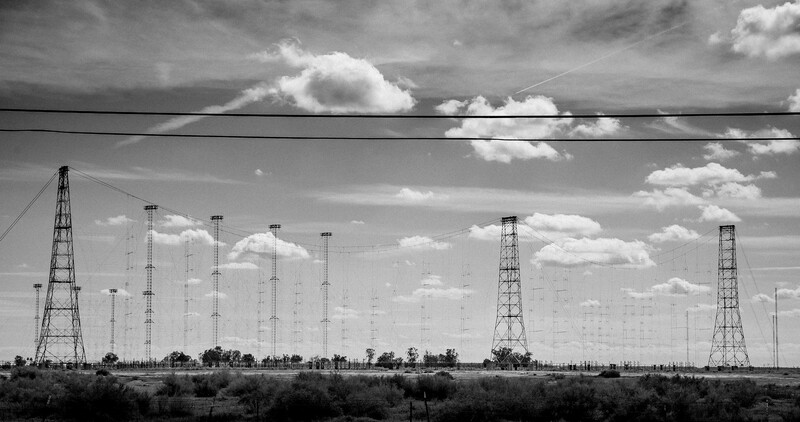 Delano was the last remaining Voice of America WWII-era shortwave transmitting stations when it was officially closed due to budget cuts in September 2007 by its operating authority, the International Board of Broadcasting. It went on the air in late 1944 under the direction of the Office of War Information, which later became the Voice of America. It is currently scheduled to be sold for scrap metal. 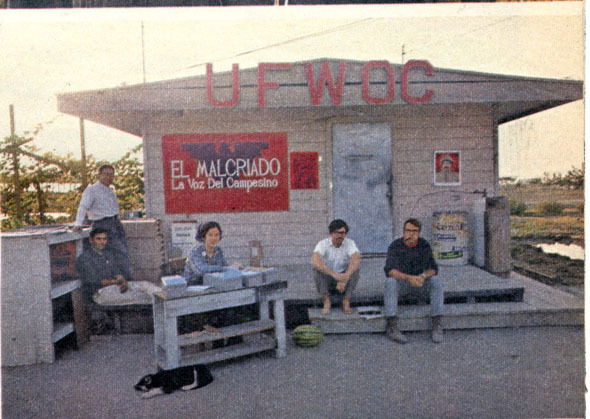 It was a great metaphor that writers just couldn’t resist, suggesting that the UFW was the real Voice of America. This was a gas station at Forty Acres. It was a going concern for the Union for a year or so. 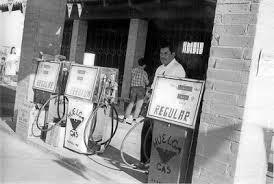 In the summer of 1968 the gas station was not running. 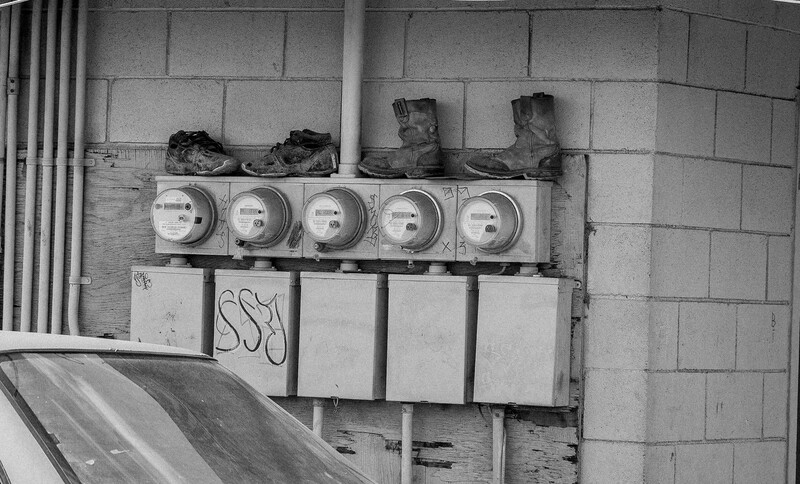 Cesar spent much of his 1968 fast in a room at the east end of the gas station. The largest room in the gas station was filled with donations – boxes of miscellaneous clothing and food donations that had arrived by caravan. Emilio Huerta could not resist. 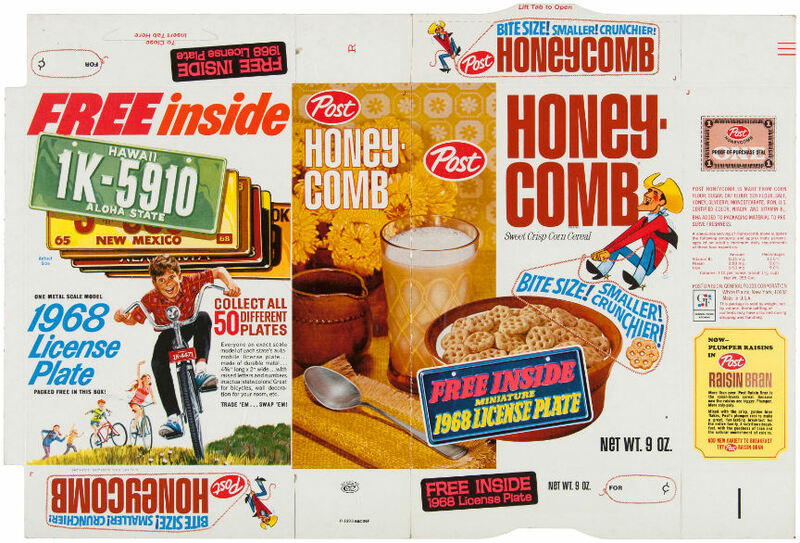 He and a few friends opened dozens – scores – maybe even hundreds of boxes of cereal just for the license plates. He got in BIG trouble with Doug Adair for that. 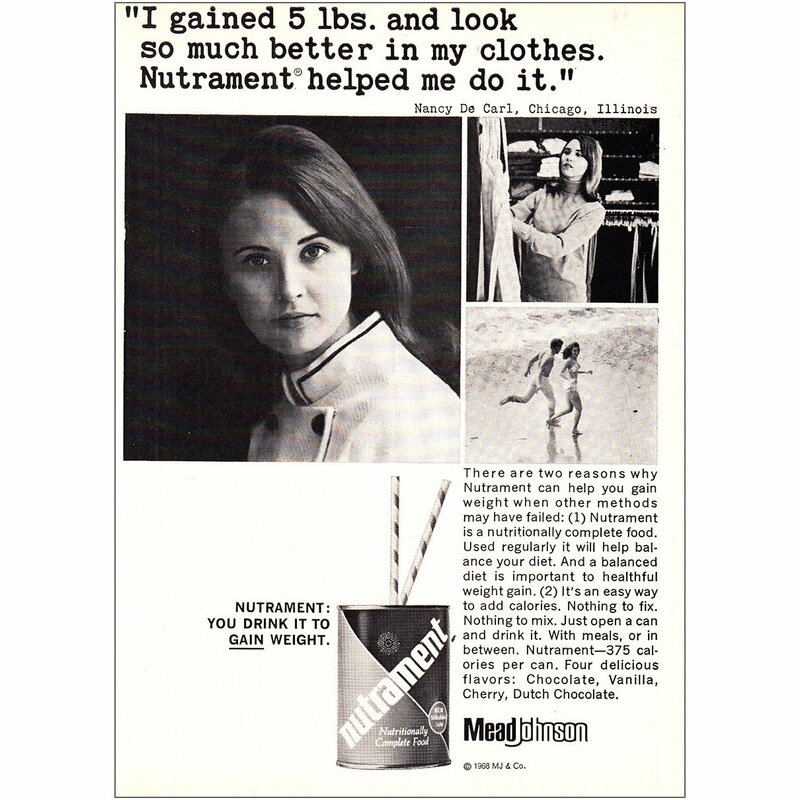 There were also case and cases of Nutrament. In official records, it is described as “Nutritionally Complete Food Consisting Principally of Milk Solids, Maltose-Dextrins, Soy Flour, Sucrose”. From what I saw, It was largely used as a sauce for ice milk. El Malriado was the newspaper of the Union. The little shack housing its office was just north of the gas station. Doug Adair worked full-time on the paper. He became a life mentor to me that summer. In this photo he is sitting on the porch in a white T-shirt. El Malcriado was published every two weeks in both English and Spanish. We typed it so as to justify the right margin. Doug had been with the UFW since the fall of 1965 when he quit his summer job picking peaches in Visalia and joined the grape strike. 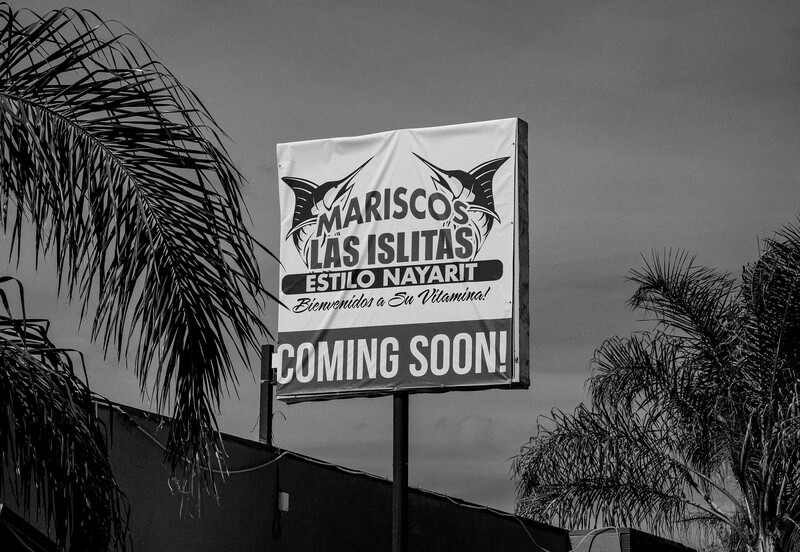 He had worked for El Malcriado for most of the last three years. On the left is the union administration building. 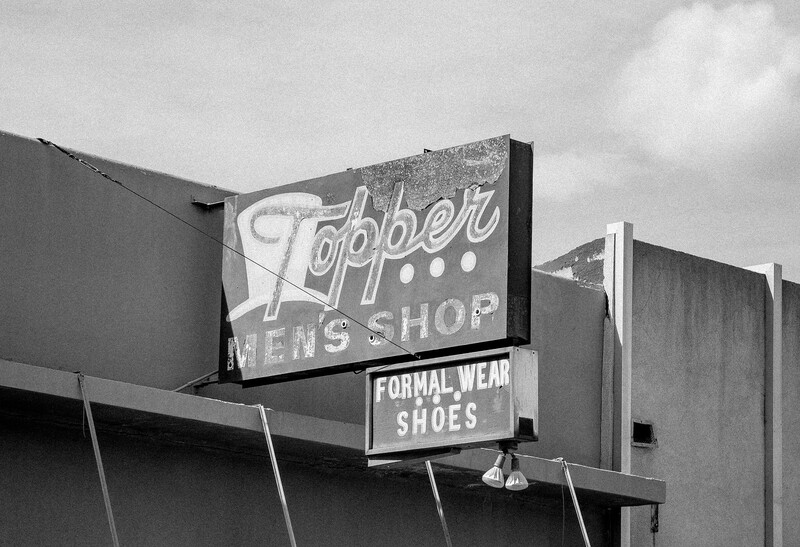 It housed the offices of the union leadership for several years before operations were transferred up to Keene in the Tehachapi Mountains. 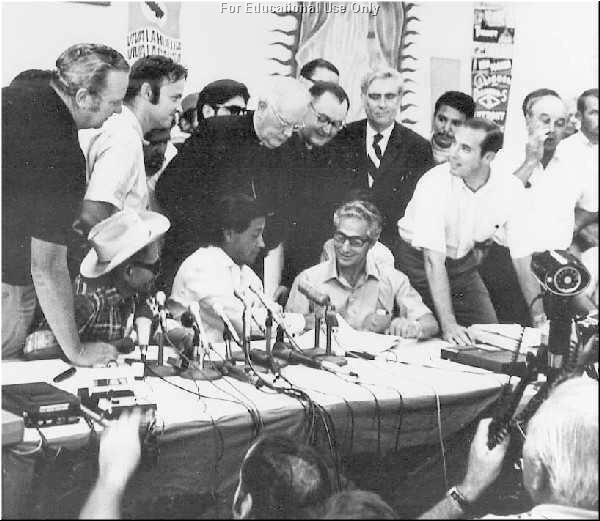 Delano’s table grape growers signed contracts with the Union in the 40 Acres administration building in late July, 1970, ending the grape boycott. Jerry Cohen (on the left) moved the legal department from First Avenue to Forty Acres. 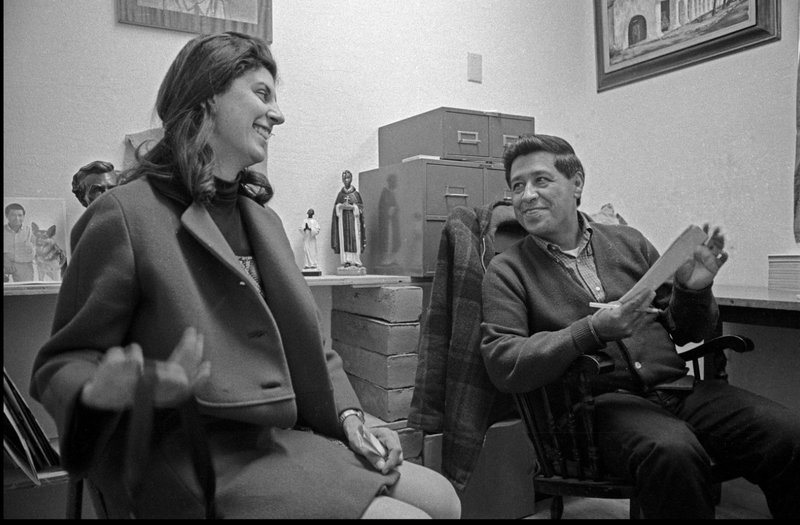 With him in this photo are Frank Denison (attorney) and Gloria Rodriguez (legal secretary). These days Forty Acres is all pretty dead. Rooms at the Agbayani Village are rented out. 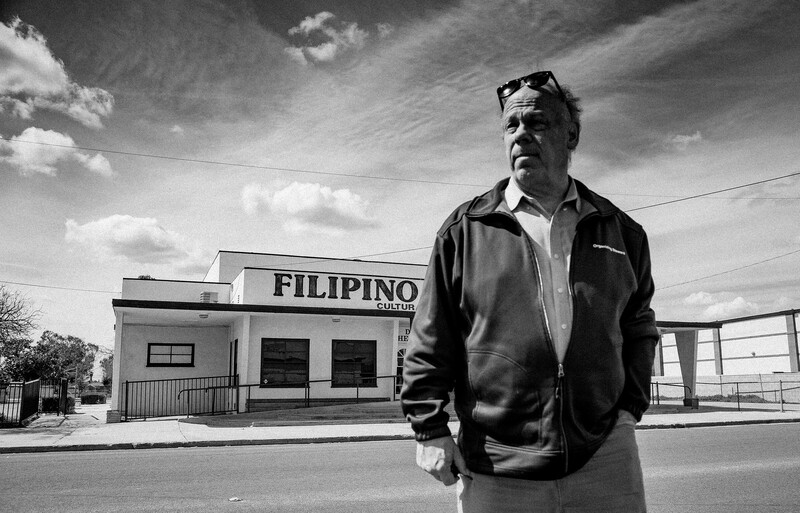 I don’t think that there are any retired Filipinos – they for whom the village was built – living there. Agbayni Village was beautiful. A brigade of volunteers built it in 1973 and 1974. Retired Filipino union members moved in and for maybe ten years there were lush gardens with bottle gourd, bitter melon (ampalayaa), mung beans, and Chinese cabbage, cages with fighting chickens, a few loose dogs, and the Filipino workers sitting around playing cards and dominos. I visited the Village whenever I could, especially to see my surrogate elder Fred Abad and Willie Barrientos. Willie died an agonizing death from tetanus which was the result of a wound from the sharp spur on a fighting chicken. In this photo from 1974, my friend Cres Fraley and I had stopped by the Village to visit Fred. 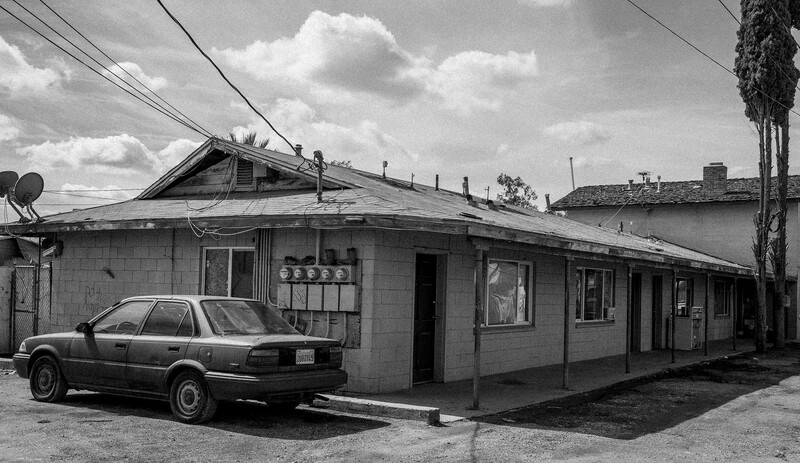 The drive east back into town on Cecil Avenue took you past the Stardust Motel. 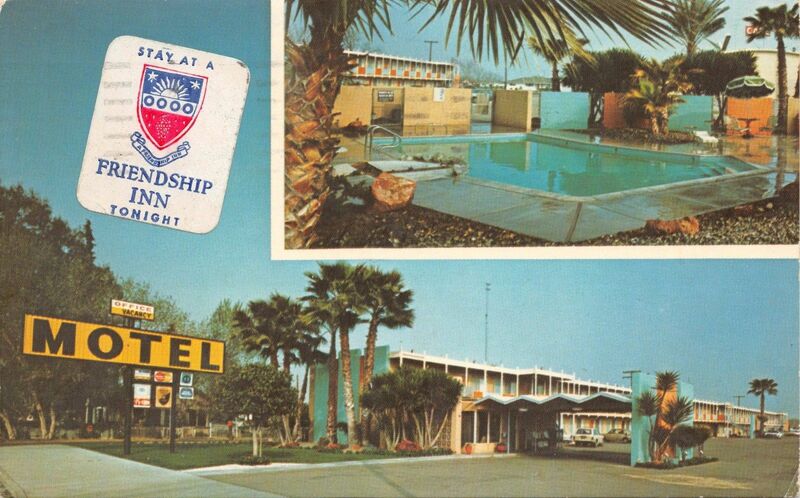 When my father visited Delano for a weekend in the summer of 1968 he stayed at the Stardust. Too bad I didn’t know the word “Googie” to describe the Stardust design. 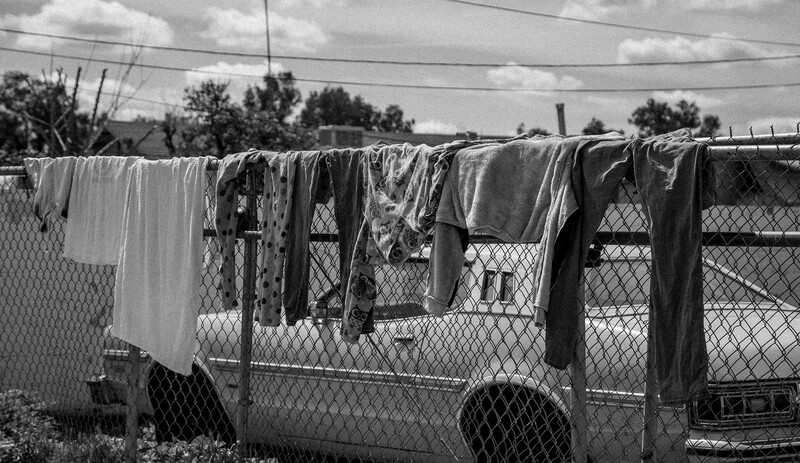 John Storey and I did not make an exhaustive photographic exploration or record of Delano, but we found several category-defying subjects that seem to define Delano. 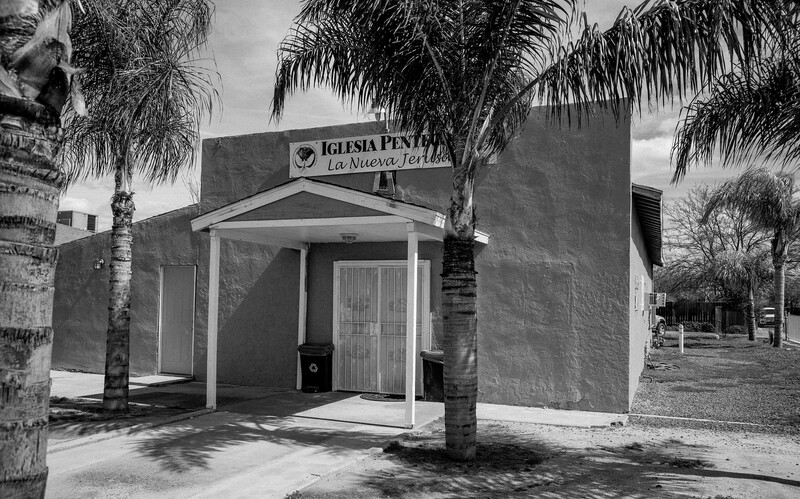 La Fiesta was not far from the cluster of three offices on and below Albany. 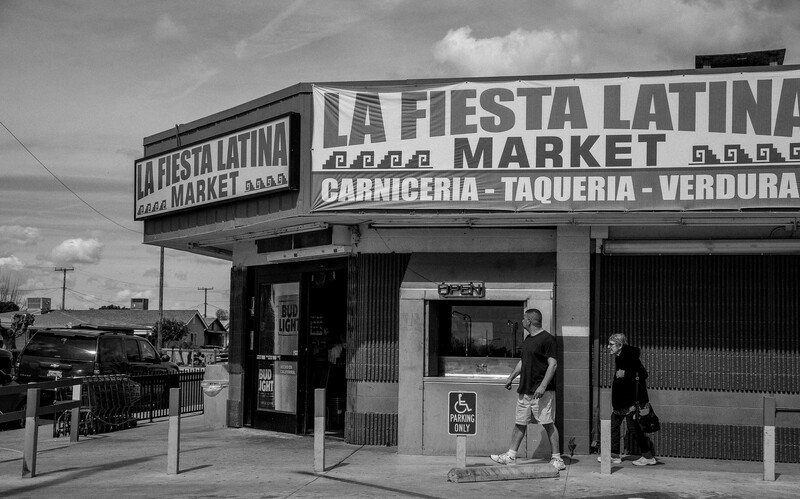 I remember days when I was printing at the hiring hall and at lunchtime would either walk or ride with Phillip Vera Cruz to La Fiesta Latina. One day I stood behind two boys as they tried to buy two bananas with a dime. The store owner weighed the bananas and said they cost eleven cents. The boys asked to buy just one banana. The owner weighed ibe banana – it cost six cents. The boys were crestfallen. “How about the other one?” said the bright boy. Didn’t work – the second banana also cost six cents. The boys were sad. I paid for the two bananas. These houses are boarded up now but a year ago when I stopped in Delano there were still families in them. 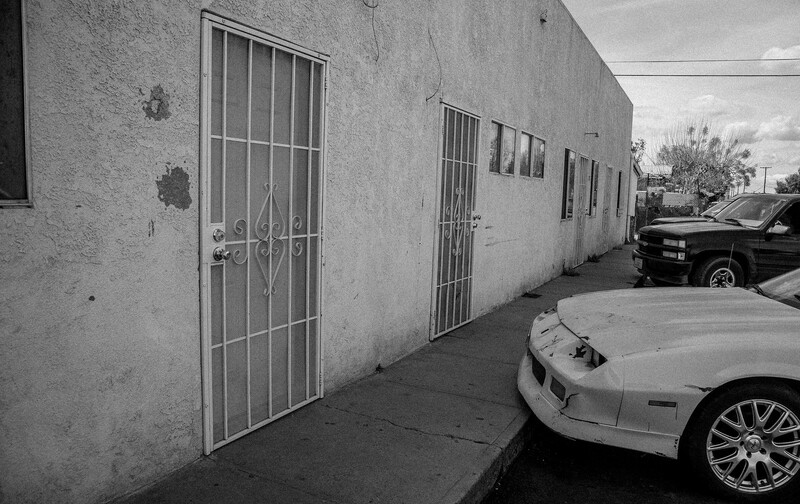 There are alleys throughout Delano. The word for alley in Spanish is callejon, a diminutive of calle (street). I was proud to know that word. I did love the alleys. Who would not want to walk this alley? Chow Mein Dish’s? Grammar counts and spelling matters – that’s my motto. Delano changed my life, it pointed me to what I am doing today, 51 years later. 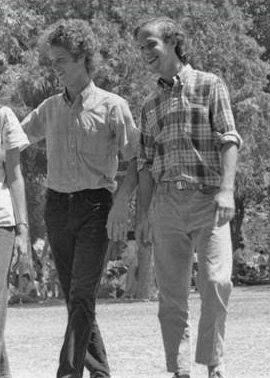 When I came back to California in August 1972 after finishing college, I thought that I would work for the UFW for the rest of my life. Boy did we work hard, and boy was it fun. I don’t know how or even if it would have been possible for the lawyers and legal workers in our merry band to stay together as we got older and had families, but we didn’t have the chance to find out. Cesar broke up the legal department completely between 1979 and 1980. I was 28 when Cesar fired me/us for the first time. I was 29 when he fired me for the last time. They were very good years. The work was as rewarding as it can be. 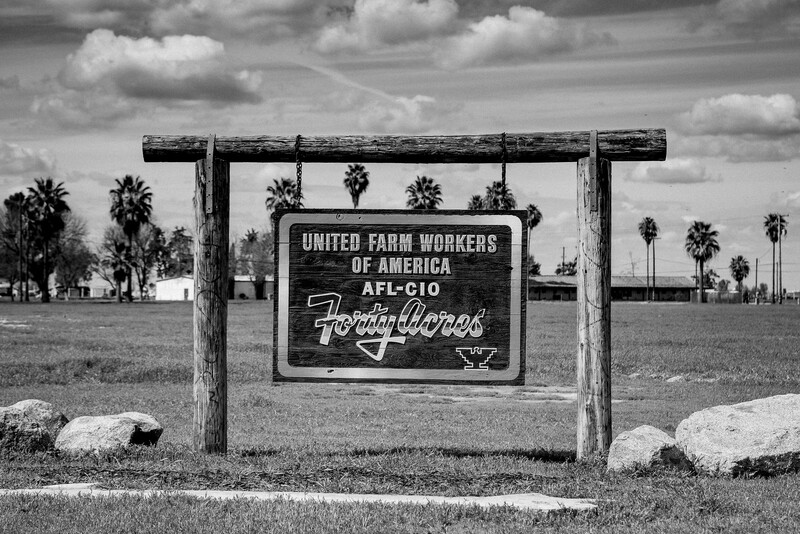 I lived and worked in small rural Spanish-speaking towns, fighting for the right of farm workers to have a union. 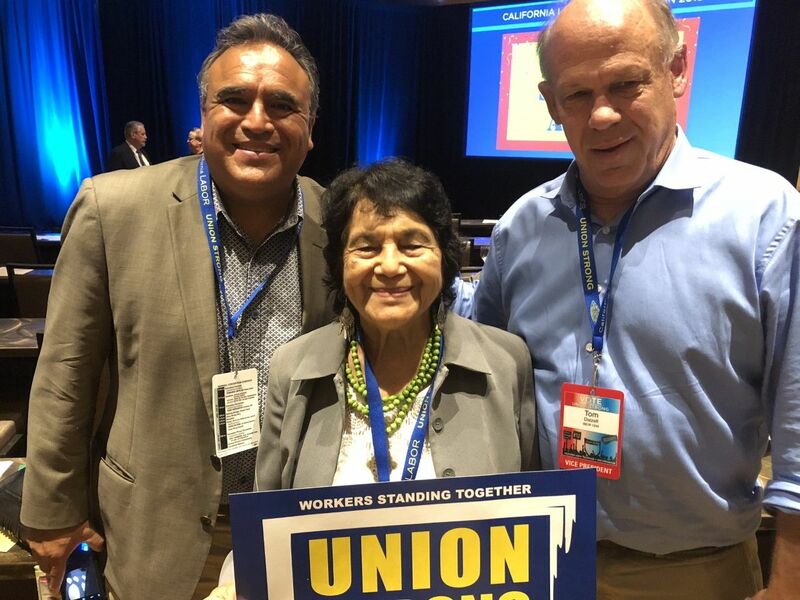 We came close to building a strong, democratic union for farm workers, but in the end Cesar did what the growers and Farm Bureau and Western Growers Association and scabs and labor contractors and Governor Reagan and President Nixon and the Teamsters could not do as hard as they tried. – he destroyed the Union. We had big dreams and dreams die hard. I don’t regret the time and work. It was good what we did. I showed the draft post to my friend. 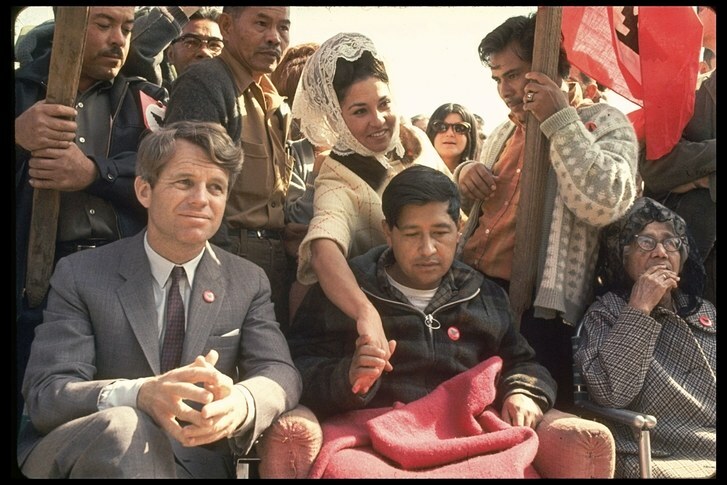 He never worked or lived in Delano, but he was in the orbit of the United Farm Workers for years and visited me there. Before answering my questions about the post, he showed me two things that he had fetched form his quarters. 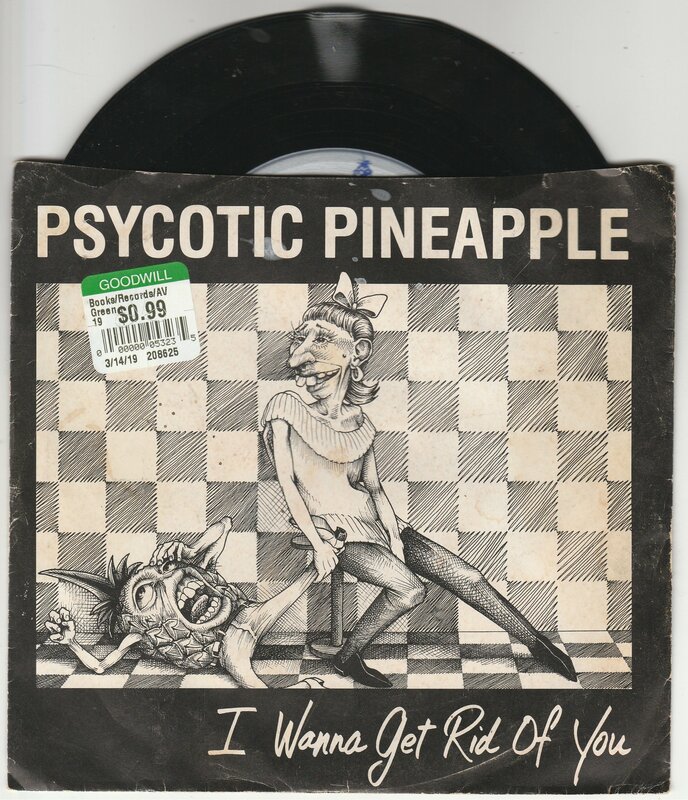 He had come across a Psycotic Pineapple album – the band that features the Seabury brothers, Dave and John. Far out! 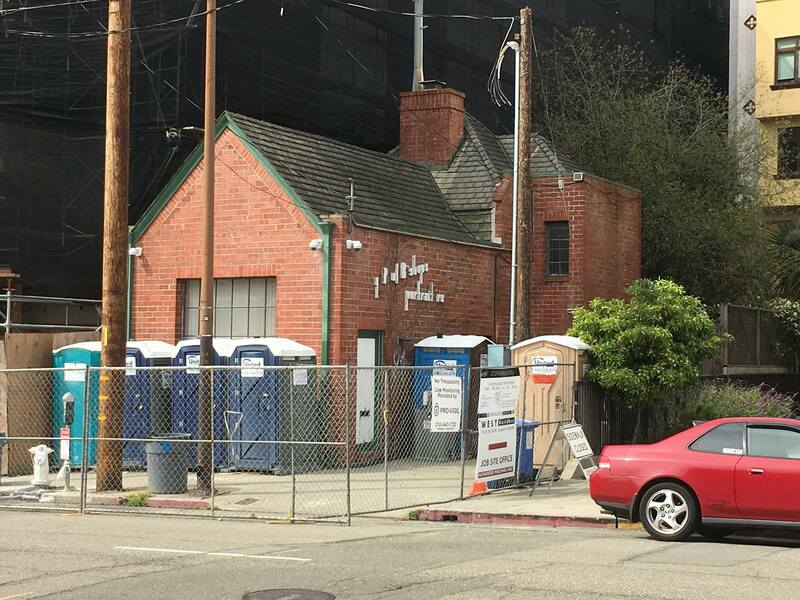 The Fox Brothers G. Paul Bishop photo studio is being used as a construction office for the apartment building going up next door. Who thought this was a good idea? It is a glorious Fox Brothers bungalow. Oh dear oh dear oh dear. Back to the business at hand – Delano. I asked my friend what he thought of my sentimental return to Delano. Posted in All Posts, Uncategorized. RSS 2.0 feed. Quite a lot of history here, Tom — your personal story embedded in that of California, the US, and the workers’ rights movement. 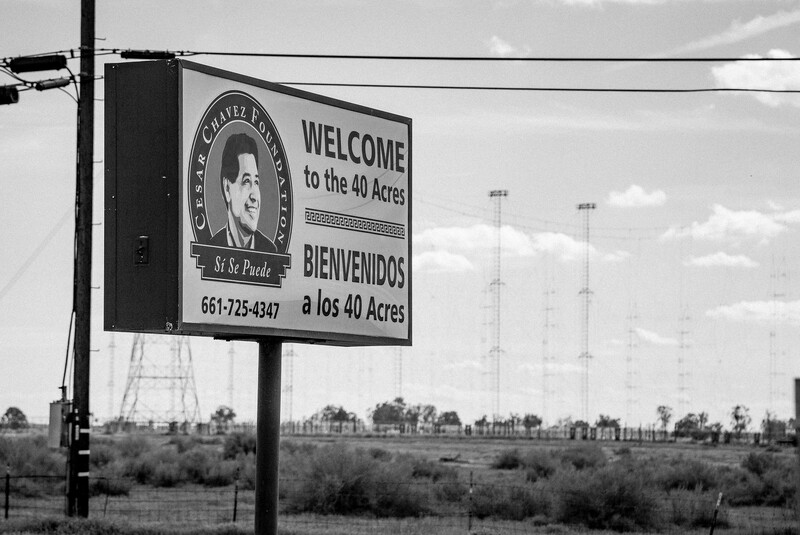 You inspired me to go look up more of Cesar Chavez’s own history. 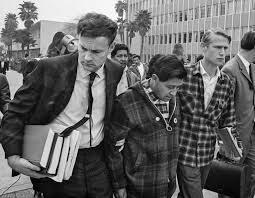 Despite apparent missteps, he remains a hero to many of my Latinx students, one of whom was part of the group responsible for creating the March 31 (today!) Cesar Chavez Day festival while still a Las Vegas high school student. Selena graduated from our department with a BA in English Literature and was recently elected to the Nevada State Assembly at age 22. Sorry I can’t be at EA to cheer your 50th and see you receive the DA award. Esse quam! Thanks for this reminiscence. Last fall, I finally stopped off Hwy. 58 in Keene to visit the Cesar Chavez National Memorial. All this time, I never know that the UFW had relocated there from Delano. It was a great place to spend a couple hours looking at the wonderful photos of the era, and soaking up the peaceful atmosphere.